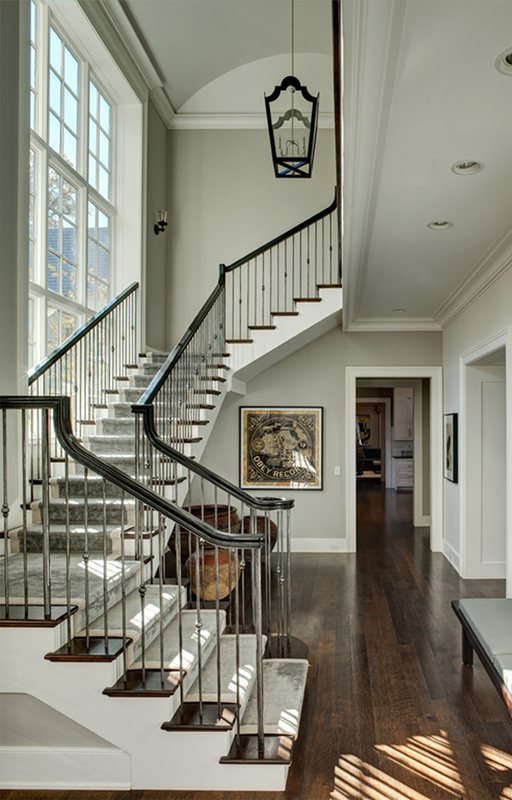 One of the most prestigious firms on the North Shore, Fraerman Associates Architecture, Inc. has won numerous awards and accolades for its work in new home construction, residential renovation and commercial projects throughout the Chicago area and beyond. The firm’s work has been featured in local, national and international publications. Founded in 1995, Fraerman Associates Architecture has consistently promoted excellence in design through its classic, modern approach to architecture while reflecting the distinct individuality of each client. Understanding the lifestyle challenges facing contemporary families, the firm’s work concisely distills clients’ often complex requisites with unique and elegant expression. The exquisitely detailed, single-family residences are characterized by tranquil, light-filled spaces layered as processional ‘events’, each one unfolding into the next. The effect is a fluidity that melds the interior with the exterior while energizing the entire environment. The firm’s houses distinguish themselves individually and as a totality. Collectively they build upon the architectural gracefulness found along Chicago’s north shore yet update it through innovation and adaptability to modern needs. With an intuitive understanding of both the beauty and pragmatism of thoughtful design, Yale educated James Fraerman, the firm’s principal, has more than 30 years of experience in wide variety of residential, cultural and educational building types. Since founding Fraerman Associates Architecture in 1995, Jim has focused his practice primarily on custom residential design ranging from small rehabilitation projects to larger scale single family homes. A native of Chicago’s North Shore, Jim received both his undergraduate and graduate education at Yale University. Upon receiving his master’s degree in architecture, Fraerman became a project architect at the office of Edward Larrabee Barnes in New York City where he primarily specialized in museum design. Jim returned to the Chicago area and joined Booth/Hansen Associates in 1986 becoming its Senior Vice President working on residential, cultural, educational and recreational projects. Jim is licensed in Illinois, Michigan and New York and has reciprocity in multiple states as a member of the National Council of Architectural Registration Boards. Jim is also a member of the American Institute of Architects and the Association of Licensed Architects. Aaron has specialized in single family residential design throughout his career. He joined Fraerman Associates in 2008 after seven years at Swanson & Donahue in Lake Forest, IL. Aaron attended Southern Illinois University where he received a Bachelor of Science in Architecture. He is a licensed Architect in the state of Illinois. Blair’s architectural expertise includes work on single and multi-family residences, interior spaces and furniture design. He joined Fraerman Associates in 2016 after working at Chicago firms Vladimir Radutny Architects and Holabird and Root. Blair received his Master of Architecture degree from The School of the Art Institute of Chicago and his Bachelor of Science degree from Colorado State University.